Do you or a loved one need fast help getting out of jail? Get the speedy, discrete, and confidential services you deserve by trusting our bail bond company to give you the high-quality assistance you need. If you’ve been arrested and put in jail, you have a chance to get out by posting bail after an amount is set by a judge. Doing so grants you your freedom during the trial process, which can take a long time. One mistake shouldn’t disrupt your life. Time in jail is time away from work, family, and your defense attorney. 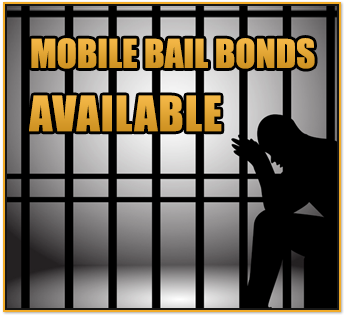 A-Action Bail Bonds provides bail bonds for you or a family member in need. We know that no one plans to get arrested, and that it can happen at any time of the day or night, which is why we operate 24/7, so you can call on us any time. We believe that everyone deserves another chance, which is why we’ll stand with you or your loved one throughout the bail bonds process. We are an honest, hard-working company that offers different types of bonds for individuals so they can spend their time at work or at home, where building your defense becomes much easier. Prison puts your life and your family’s life on hold when you should be at home preparing your defense so you can return to your life. No matter why you or your family member were arrested, once bail has been set, we can help keep you free until your court date. How do we do it? We act as a middleman to help you get released by contributing our knowledge of the process and the laws behind it. Not being well versed in the legal and criminal justice systems can lead people to make mistakes in the process, which could mean more unnecessary jail time. That’s why we want to handle this task for you. Save this complicated, confusing process for the experts who deal with it every day. We work hard to make sure your jail time is minimal. Stay innocent until proven guilty during your trial process and let us help you keep your freedom. We not only simplify the bail bonds process to keep you from going through it alone, we also help you afford it. We want to save you money through a bond, and would never want someone to remain in jail unfairly for lack of money. Instead of paying the entire amount of the bail required, a bond allows you to pay a fraction of the amount so that you can go home and attend to your family or employment obligations. If you’re unsure how much you’ll need to pay, we are available 24/7 for a free quote. We accept many forms of payment as well for your convenience. Everything is strictly confidential and handled discretely for your protection. During your bail bond hearing, we will always be in court with you. We want you to have someone advocating for you who knows your specific situation and how to get you the best results. We represent you or your loved one at the hearing and work to obtain a bail bond. Just as you wouldn’t want to go into trial without a lawyer, you don’t want to go into a hearing without a bail bondsman to fight for you. Appearance bonds signify a promise that you will appear for your day in court, which means you are responsible for returning to court or else losing the bail. This is the perfect solution for anyone who wishes to keep the situation private or may not have a friend or family member who is able or willing to post bail. Let us handle all of the paperwork and make the bail process go by quickly for you or someone you care about. We know that your life and freedom are more important than keeping you in jail unnecessarily until your court date. Depending on your case, there are three different types of appearance bonds you could qualify for: secured, partially secured, and unsecured. A secured bond mandates posting the full amount, partially secured requires paying a percentage of the full amount upfront, and unsecured lets you pay the full amount at a later date. We’ll help you figure out what you qualify for and what your options are. Get bail bonds so that you can be free until your court date. With 35 years of experience in the bail business, we have encountered all kinds of people and situations. Our bail bondsman ensures you get all the help you need when you need it at any time of the day or night. Let us give you the second chance that you deserve. We always remember that we hold people’s lives in our hands, and we take that extremely seriously. We’ll help you with the paperwork and educate you about the bail process so that you know exactly what is happening and what will come next. When you come to us, you could be free in a matter of hours. Contact our bail bond company 24/7 when you need help getting out of jail. We serve Wharton County, El Campo, East Bernard, Hungerford, and Boling, Texas.